We provide a unique place where young children, with disabilities, come develop skills through play. Our highly qualified staff plan specific programmes for each child based on their individual needs with the purpose of allowing them to take a full and active part in everyday life. Our children are at widely differing levels of development and require specialist help and equipment in order to improve their life chances. Parents and carers are also welcome and for them our centres offer a place to: make friends; share experiences and have the chance for valuable respite. Our children are at widely differing levels of development. They need more personal attention and show very specific needs which require individual help and encouragement from qualified staff. As one mother explains "I don't know where I'd be without Dingley, but most likely self doubt would creep in. The staff at Dingley go above and beyond their roles. The social aspect of Dingley has transformed what can otherwise be a lonely and daunting experience". At present we are supporting 91 children in Reading, Wokingham and West Berkshire. 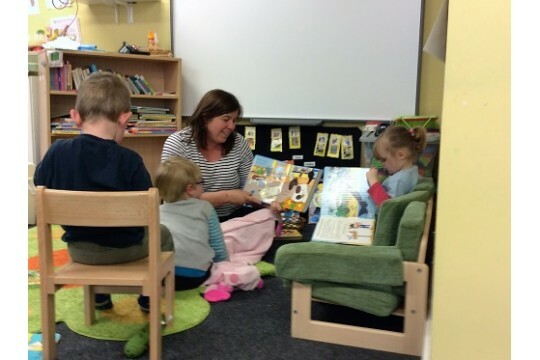 All 3 Dingley Centres have recently been rated as "Outstanding" by Ofsted with the inspector in Reading reporting: "All children thrive in this vibrant and child-centred atmosphere. Children eagerly enter the centre, ready to eager in play". An external evaluation of our work found that "Dingley achieves high standards of support and makes a crucial difference to the lives on children with special needs". We need volunteers to work alongside our qualified staff to support the children within our Centres. We also need volunteers to join our management committee.